As we shiver through the colder months of the year, you may experience increased aching in your joints. There are a number of conditions which may cause pain, inflammation, swelling and stiffness in the hands with the most common type being osteoarthritis. 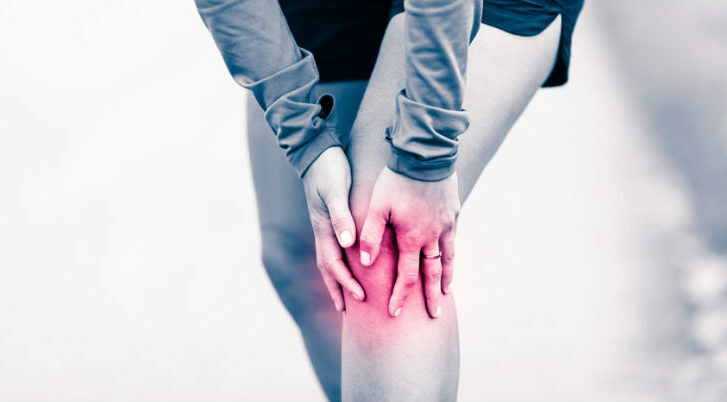 Osteoarthritis occurs when the protective cushioning between the joints becomes thinned and wears out. The increased loading on the bony joint surfaces results in structural changes to the bone surfaces. Why does colder weather worsen symptoms of osteoarthritis? Harvard Medical School Professor, Robert Jamison, has identified a factor that may be responsible for this increased pain: a change in barometric pressure (atmospheric pressure). As barometric pressure falls, the balance of pressure between the inside and outside of our joints changes and joint tissues may expand. As they expand, they put more pressure on nerves that send pain signals. Reduced activity levels may be another reason symptoms of osteoarthritis is felt more acutely in the colder months. Often the colder weather has us being more sedentary. Our joints are not performing as much movement which usually assists to lubricate our joint surfaces. While there is no cure for osteoarthritis there are many simple lifestyle adjustments to manage pain levels and maintain joint flexibility and function. Consider using small devices to make tasks easier. If you find it difficult to open a jar, your physiotherapist may recommend a fixed jar opener. If you struggle to turn on your kitchen and bathroom taps, Tap Turners are inexpensive, ingenious little devices! If writing for prolonged periods is difficult, switching to a thicker pen or using a pen grip may improve your hand’s endurance. Generally heat helps with joint stiffness, tired muscles and increases circulation. Heat can also be soothing on sore joints. There are a few options you can try, like warm hand baths, pocket hand warmers and gloves. Gloves have an additional advantage of giving support to joints and decreasing swelling that might also be restricting joint flexibility. There are many different types of gloves so talk to your physiotherapist about which would be best for you. Your physiotherapist may also prescribe specific hand exercises to assist you to retain finger joint flexibility, strength and dexterity. They can also determine whether a brace or splint may help with your individual condition. If you find that pain and stiffness is a recurring problem in the hands, talk to your physiotherapist to find out what the condition is and how to take care of it.